Making a Will or Reviewing your Will – Giving Peace of Mind For You and Security For Your Loved Ones. Few people like to think about what happens to our loved ones after we die. That is why we cannot over-emphasise the importance of having a meticulously drafted Will – and one that is updated as your circumstances change. After all, no one knows what the future holds. Regularly reviewing your Will means at least you have the peace of mind of knowing that your loved ones are looked after when you’re gone. We see first-hand the potentially devastating impact visited upon already grieving relatives where there is no Will, and the difficulties which arise as a result. We also know from our clients the relief and peace of mind that comes from making a Will and ensuring that your affairs are in order and that you have done everything possible to protect and provide for your loved ones and prevent any unnecessary difficulties and disputes. Having a Will can make the lives of those you leave behind more comfortable and less stressful at a critical time in their lives. With more complex family arrangements becoming increasingly common, it has never been more important for everyone to have a valid and up to date Will. There are many legal and personal issues to take into account when inheritance planning. Tax implications, for example, can make a difference to how much you leave behind for your family. This is an area in which Geoffrey Lurie Solicitors Newcastle have a lot of expertise. Our team can advise you with your queries and help you minimise your tax obligations; by setting up a trust, for example. At Geoffrey Lurie Solicitors in Newcastle, we appreciate that, by nature, every Will is different and needs to be completely bespoke to the needs of the client. With you, we take the appropriate time to consider your family and their needs, your commitments and personal financial circumstances and the potential impact of inheritance tax for your beneficiaries. 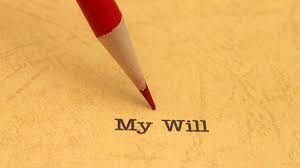 Our mission is to ensure we do all we possibly can to limit the number of people who die intestate (not leaving a Will) and to ensure that our Will writing service in Newcastle is available all year round at a competitive price for our clients. We regularly support charitable Will schemes such as St. Oswald’s Hospice’s Make a Will Month which encourage people to make a Will and also benefit our local community.